The world's most popular bass clarinet mouthpiece, the Vandoren B45 clarinet mouthpiece offer a wide pallet of colors. 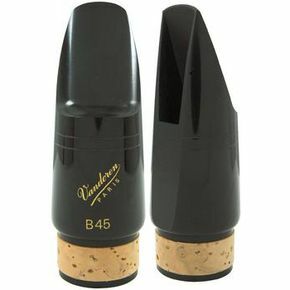 The B45 mouthpiece is very flexible and produce and large, round sound. Excellent for all around playing or for saxophonists doubling on the clarinet, the B45 free blowing and reed friendly.